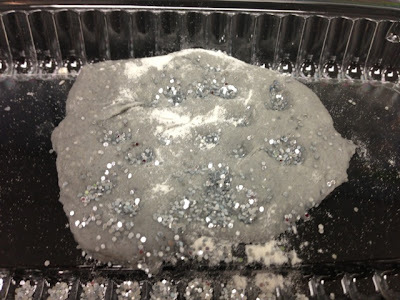 Once Upon a Learning Adventure: Space Case! 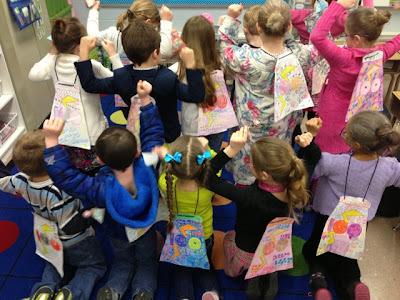 And a 100th Day Sneak! 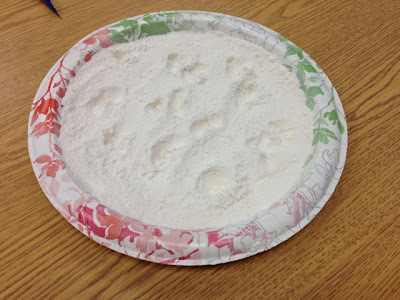 This next idea came from my super-smart teaching neighbor...we made craters in the moon dust by dropping objects onto a plate of flour--simple, and to the point! Loved it! All you need for this moon model is some paper and three brads...cheap and easy! These models really helped my kiddos to grasp the concepts of night and day, eclipses, and how the earth rotates throughout the year. By the way, I would really recommend using regular printer paper instead of cardstock--the cardstock is too hard for little hands to put the brads through! Trust me! 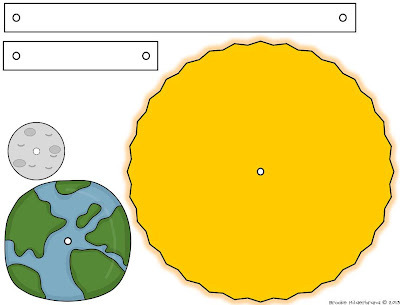 :) Just click the picture below to download the Sun, Moon, and Earth Model template. Since finishing space, we celebrated the 100th day in Superhero Style! It was soooo much fun! I'm working on editing/uploading my unit this week, but here is a little sneak peek at my Hundredth Day Heroes in action! 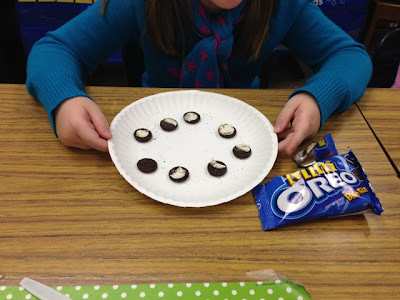 Phases of the moon in Oreo filling is about the neatest thing I've seen all week. I will got to sleep smiling tonight...thank you! a.
I LOVE your SUN, MOON, Earth model! 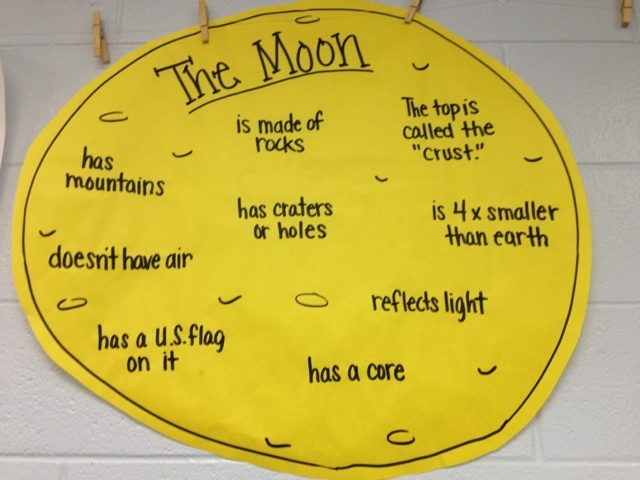 love your sun, moon and earth model! has really helped with my lesson for tomorrow! thank you!! I am teaching the cloverbud group for our 4-H club during our week of day camp. Our theme is "Out of this World." One day will be dedicated to studying the moon. I am utilizing every idea from this page. 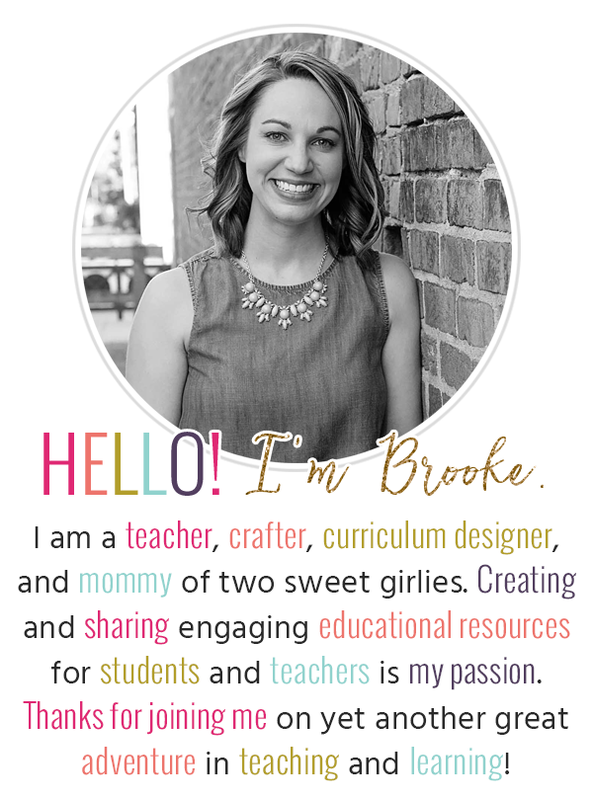 This lesson plan has come together easily because of you, and I'm very excited about presenting it. Thank you so much!